This project aims for watershed protection to regulate the quantity and quality of the region’s fresh water supply, for soil and biodiversity conservation, and sustainable livelihoods for the region’s communities. In the tropical Andes, reforestation of watersheds, specifically high-elevation wetlands, is critical to maintain and improve freshwater supply. Over the course of the last century, Colombia’s Andean watersheds have been threatened by uncontrolled deforestation due to rapid expansion of agriculture and through cattle grazing. Given that the communities and their economic and productive activities in Manizales and the surrounding municipalities are strongly dependent on sufficient water supplies provided by the Chinchiná River watershed, the project aims at assuring sufficient provision of fresh water supplies, to decrease the erosion of the volcanic soils and to reduce sedimentation in rivers and lakes. Due to the project’s location in key Andean high moores (páramo) and Andean cloud forest areas, the project also aims to increase biodiversity, improve the connectivity of strategic ecosystems such as the San Sebastián nature reserve and other Andean forest ecosystems, in addition to capture large quantities of atmospheric CO2 . The program’s activities involve ecological restoration through assisted natural regeneration and reforestation with both native and commercial timber tree species, agroforestry and silvo-pastoral systems on an area of 4,540 hectares in its first phase, including conservation reforestation of high moores in key biodiversity areas which will be put to permanent protection. Project activities are developed in areas that were previously used for traditional extensive cattle grazing and which were causing significant erosion. Creation of stable and well-remunerated employment in activities such as land preparation, land planning, seedling propagation, planting and maintenance, forest protection and utilization and ecotourism. 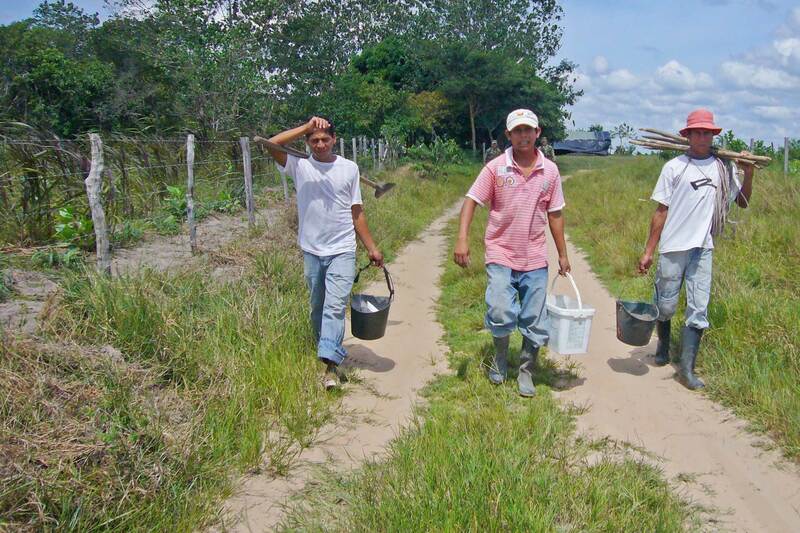 The project improves the living conditions of the local communities by guaranteeing the supply of freshwater to the region’s inhabitants and by supporting production, conservation, research and ecotourism activities. Economic activities are diversified to cover wood production and sales of environmental services, in addition to the conventional products obtained from cattle raising and coffee. Soil erosion and mudslides (causing significant problems to the main highway between Manizales and Bogotá) are reduced and overgrazing of the land is reduced, while agricultural productivity is maintained. Agroforestry and silvopastoral production systems allow for the production of timber, biomass energy and meat while maintaining the essential ecological services. More than 300,000 tCO2 e carbon sequestration, and in addition reduction of pressure on the natural forests, due to the provision of fuel wood, plywood and timber for the local market. Restoration, formation and consolidation of biological conservation corridors. Biodiversity conservation, the Mountain Tapir, Tiger Cat, Spectable Bear and Gray-bellied Night Monkey are some of the species in the project area that are endangered. The project is located in Manizales, capital of the Department of Caldas, in the central-western area of Colombia. This department is part of the Coffee-Growers region of the country, dominated by the scenic Nevado del Ruiz Glacier Mountains National Park, which has lost more than 36% of its ice cap since 1970 due to climate change.